I think I am turning into a chocolate cream pie. This is not necessarily a bad thing. For one thing, it means I have recently had lots of delicious pie in my life, and that is something I like. I’m also pretty sure that if they figured out how to measure your soul’s health, they would find that pie and chocolate had beneficial effects on it. 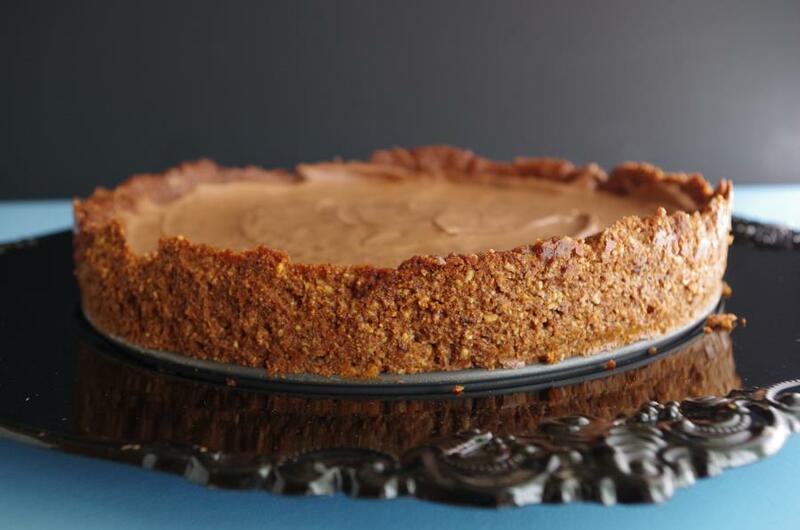 Since this pie is made of chocolate, it should be extra healthy for your soul. This is one of the benefits of starting a culinary program (yep, two weeks ago!) – I make lots of things I don’t often think to make for myself, like custards, mayonnaise, poached salmon… and full-fat baked goods. I know it’s not really my thing, but I suppose I would be woefully out of touch with reality if I didn’t make – or eat – the textbook standard of the baked goods I’m trying to lighten or improve on every once in a while. Wait, what am I saying... it's also a delicious thing to do! So me and my chocolate-pie-filled self are feeling good in the soul department as well as the educational department… but there is still the fact that too much chocolate pie is, well… too much. I mean, too much of anything can be too much, right? But I’d like to be able to have a chocolate pie I can eat a whole slice of, and even eat it three nights in a row. Why not? And THEN I remembered that I’d seen something like that once before! 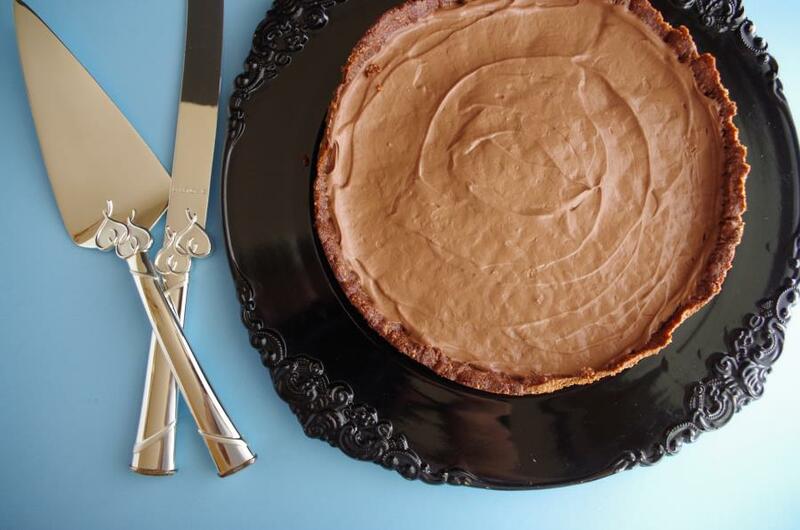 A favorite dessert blog of mine, by the famous Chocolate Covered Katie, posts this stuff a lot! 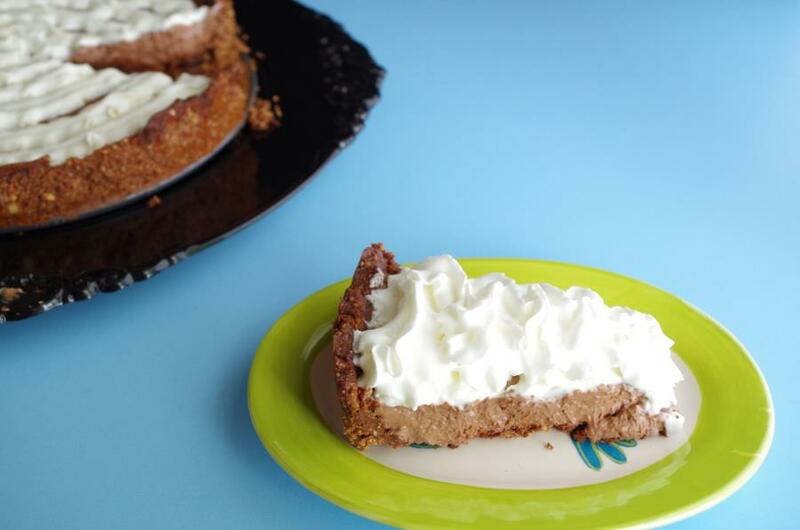 Her totally sweet (and wicked healthy) treats are just the thing when you want to combine delicious with nutritious – I was inspired by this cream pie, and this chocolate crust. 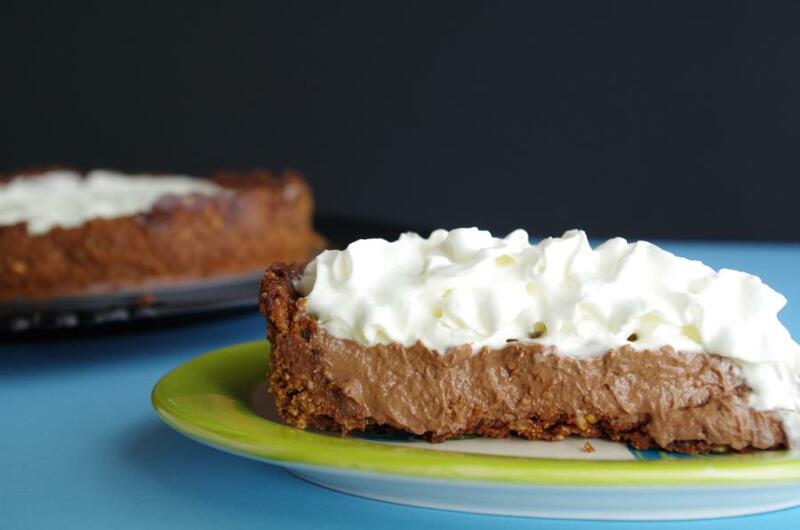 The resulting recipes made a chocolate pie that is as healthy as those yogurts pretending to be desserts… but it’s actually pie. It tastes as decadent – and nowhere near as heavy – as the butter-laden pie sitting next to it in the fridge. It’s got a slight yogurt-tang at the end, which I really liked, LOTS of chocolate, muchos on the nutrition, (pie for breakfast, anyone?) and I counted – about 150 calories less per 1/12th pie slice. Oh, and... its for everyone! Gluten-free with a vegan option. Eat up, ya'll. Now I think I shall go turn into a chocolate pie in sheer bliss. Bake the crust 9-12 minutes, until set but not too hard, and cool on a rack until completely cooled before filling. In a clean food processor – yep, you have to clean it after making the crust – blend all the ingredients thoroughly. Spread evenly in the cooled pie crust. Wrap tightly with plastic wrap and chill in the refrigerator overnight or about 4-8 hours until set OR in the freezer 30 min. to 1 hour. I set this in the freezer overnight. It still turned out all right, but word of caution – if you leave it there too long, ice crystals will form and turn this pie into the Liberty Bell with little cracks all over. Not so pretty. 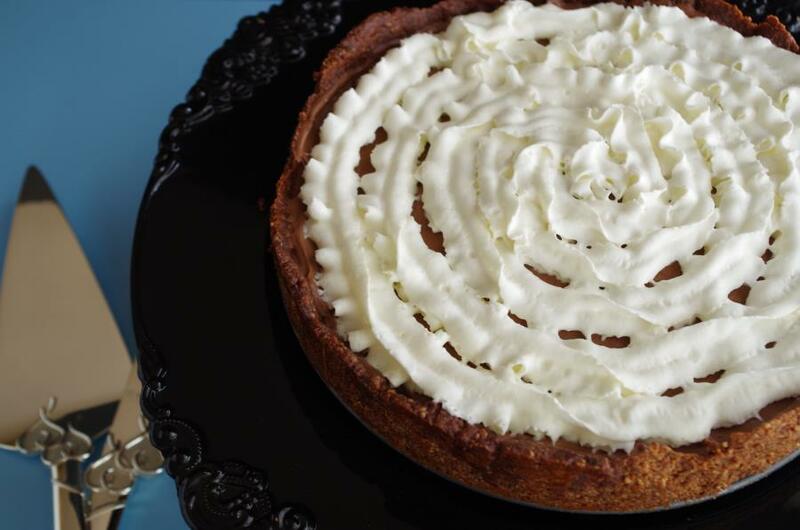 Cut into 1/8th or 1/12th slices and serve topped with light whipped cream!